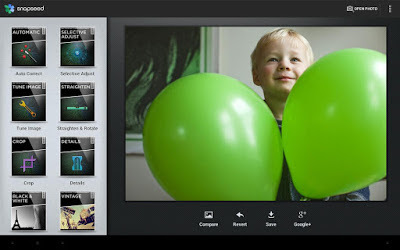 Google's recently acquired Nik Software has announced the availability of Snapseed photo editing app for Android phones and tablets, and simultaneously updates the iOS app. The app available for Android OS 4.0 (Ice Cream Sandwich) or later phones and tablets, and the iOS version of Snapseed is now available for free on iTunes App Store for iPad and iPhone devices. 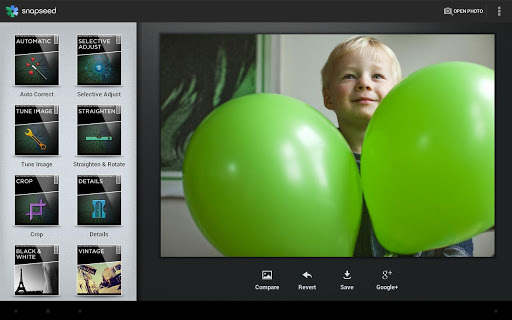 Snapseed app makes any photograph extraordinary with a fun, high-quality photo experience right at your fingertips. You can enhance, transform, and share their photos with ease using incredibly advanced features from the leader in digital photography software.